Inside: Grandparents and Christmas are synonymous with excitement! And what creates a holiday that rings with laughter and fun is the celebration of memorable traditions with loving grandparents. Here are three grandmothers and the traditions they do with their grandchildren to make the holidays unforgettable. What name do you call your grandparents? Nonna and Nonno? Savta and Saba? Mawmaw and Pawpaw? Baba and Gigi? Yaya and Papoús? Or just plain Grandma and Grandpa? These are “terms of endearment,” that children all over the world call their grandparents by. Each name holds within it feelings of love and deep devotion. According to Roma Hanks, Ph.D., grandparenting is one of the most important family roles of the new century. Today, more than ever grandparents play an important role in their grandchildren’s lives; especially around holiday time. Do you remember traditions and activities that your grandparents did with you at Christmas? Was it baking a special recipe together? Going to see the Christmas lights? Decorating? Shopping together? Reading Christmas books? Whatever activities you engaged in, undoubtedly you remember sharing those memorable moments with people you loved. Here are three dedicated Grandma’s, Yaya’s and Nana’s who create extra special memories for their grandchildren around the holidays. The Greeks love to cook—it’s in their blood and part of their souls. And Greek mothers/grandmothers like nothing more than to have their large families gather around the table eating traditional favorites they have lovingly prepared. Violet is such a mother and grandmother. And Christmas means extra food, extra fun and loads of laughter and love. “Yaya” is famous for her lavish Christmas dinners and holiday activities. 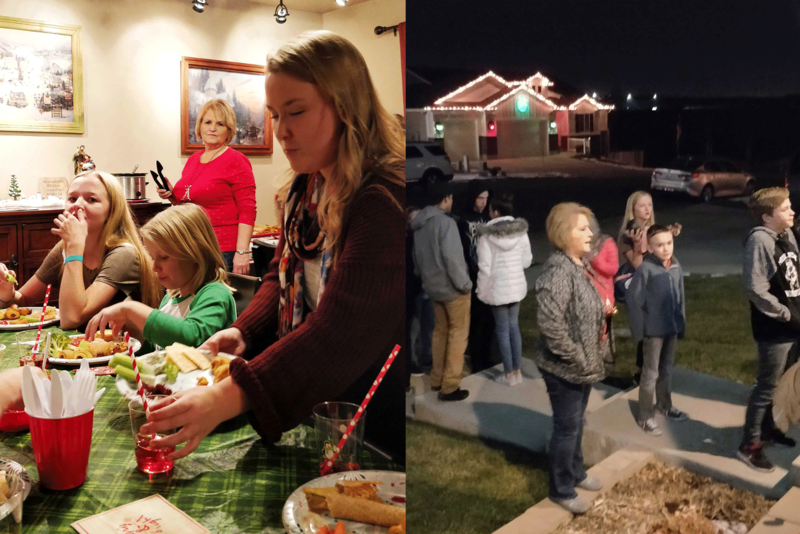 Every year she hosts a “Silly Yaya Christmas Cookie and Crafting Extravaganza” where her children, grandchildren and other stray kids (she calls them pseudo-grandkids) come and spend a day creating holiday crafts, baking cookies, and eating pizza. 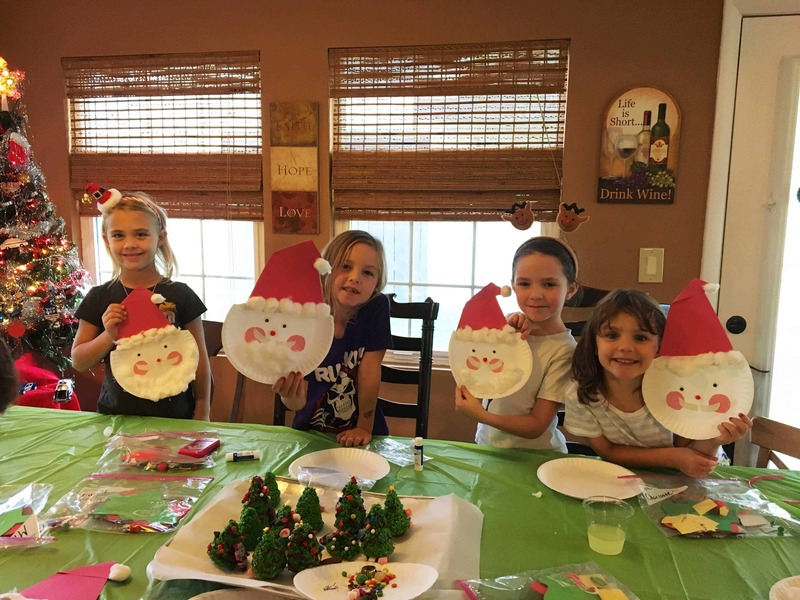 Over the years, they’ve made Santa hats from paper plates and construction paper, foam Christmas trees decorated with frosting and stickers, candy cane ornaments, reindeer ears and more. 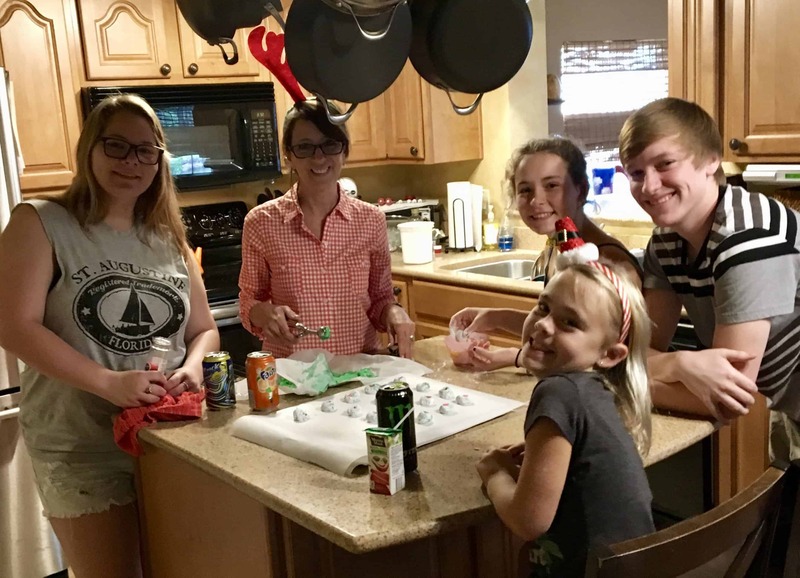 Then they pile into the kitchen to make Grinch cookies (green cookies with a hard-heart-shaped gumdrop), snickerdoodles, chocolate chip cookies, and peanut butter blossoms. Some recipes, she pre-measures the dry ingredients and puts them in jars with labels for each child. Then even the youngest grandchild can combine the wet and dry ingredients, mix them up and feel like a successful chef. Violet believes that teaching culinary skills to her grandkids is important. One of her books, Sunday Dinner at Silly Yaya’s includes an old family recipe for salad dressing. She gives ideas how to involve the grandkids by letting them cut up the garlic and shake the dressing in a cruet bottle. And when preparing the Christmas dinner–everyone pitches in to help. Christmas dinners are as lavish as Violet’s craft day and include an antipasto platter, 6-pounds of meatballs, stuffed shells, ham, garlic green beans, mashed potatoes, Greek salad (of course), garlic bread and Tiramisu for dessert. Working together side-by-side in the kitchen forms loving bonds between family members. Cindy Layton lives in Utah. 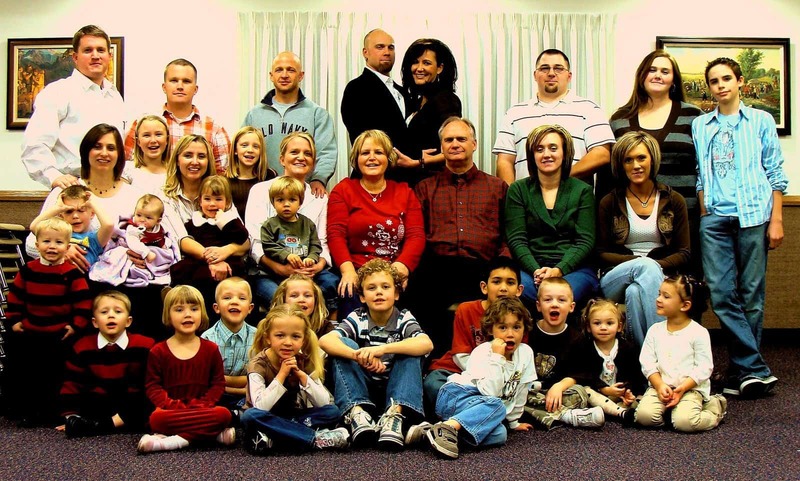 She and her husband, Victor are a blended family that includes 8 children and 28 grandchildren. Like many big families, Christmas is a time of family celebrations. Before Christmas, they gather together for a BIG dinner with everyone bringing finger foods and desserts. The food is great, but the activities surrounding their family get-together are meaningful treasured traditions. 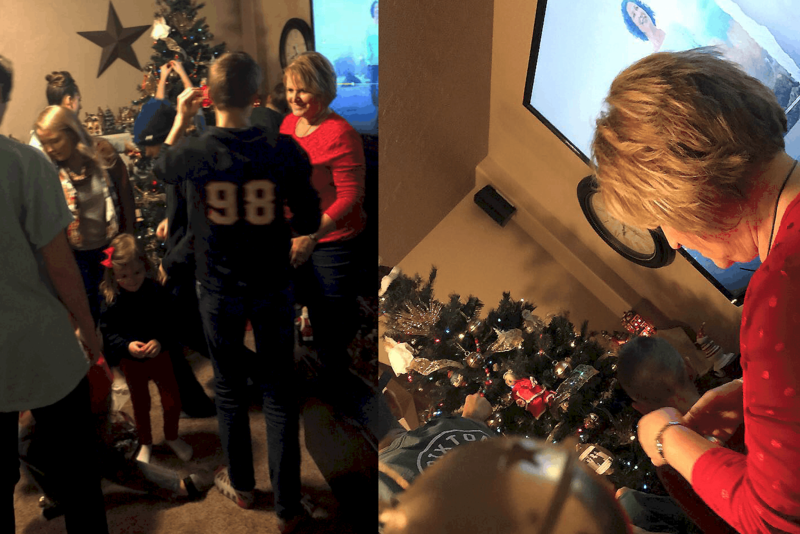 Together they watch a 4-minute clip of “The Polar Express.” For years Cindy has collected bells of all shapes, sizes, and colors and after the video, every person gets a bell. One-by-one they stand up, ring their bell and hang them on the Christmas tree. The reminder is: let’s never forget to believe in all that is good, charitable and kind. 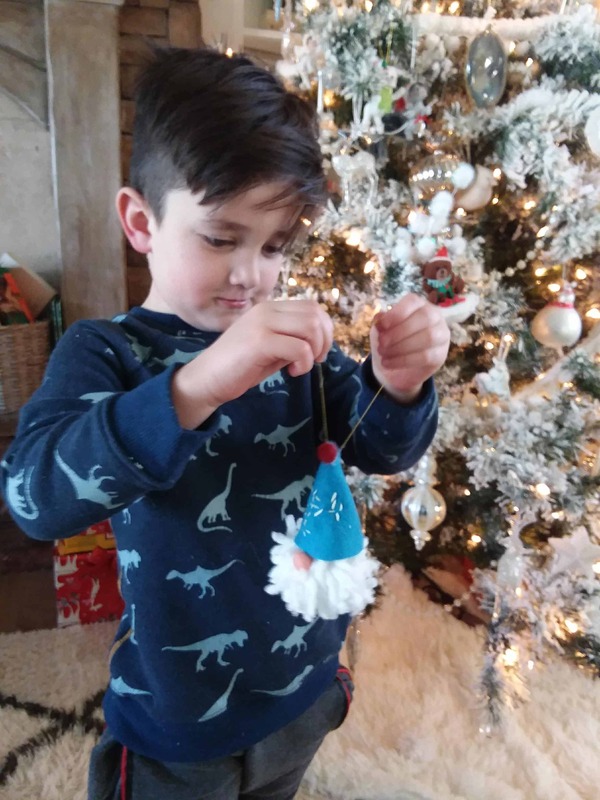 Grandma Cindy has each child ring their bell and then hang them on the Christmas tree. Everyone gets an envelope with one dollar in it. Each person picks a name out of a hat. They all go in mass to the dollar store to pick out a fun or funny gift for the person whose name they picked. Back at home, they take turns trying to guess who gave what gift. After dinner and while the parents are cleaning up the dishes, Cindy takes all the grandchildren around the neighborhood for Christmas caroling. At each house, they drop off a gift and sing. 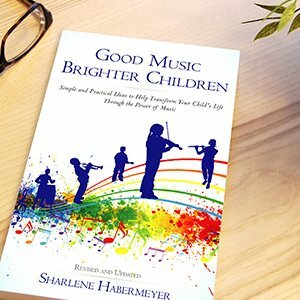 This is a win-win activity: the grandkids love not having to do dishes and they enjoy singing to strangers. The parents like it because it squeezes all the excess energy out of the kids. Cindy has 22 nativity scenes that she displays around her home. She makes a game of having the grandkids hunt around the house and count the number of nativities. The winner gets a prize. Each year Cindy finds an appropriate video of baby Jesus to share. “Appropriate” because not only are they a blended family, but they are also “blended” in their religious beliefs. However, they share the commonality of believing in Christ. So, the most memorable part of the evening is the video and when Grandpa Victor reads the Christmas story from the Bible. Cindy (Grandma): Family means everything to us. And family ties are strengthened through involvement and interaction as we create meaningful traditions. It’s remarkable how the Spirit of Christmas is felt in our lives as we do for those in our family and beyond. Dodi Poulsen is from Washington. She is the mother of two children and proud grandmother (Nana) of nine. When Dodi was a child, she lived on the same street as her Nana who taught her to sew. Today, Dodi is a professional seamstress and quilter (her Nana would be proud!). 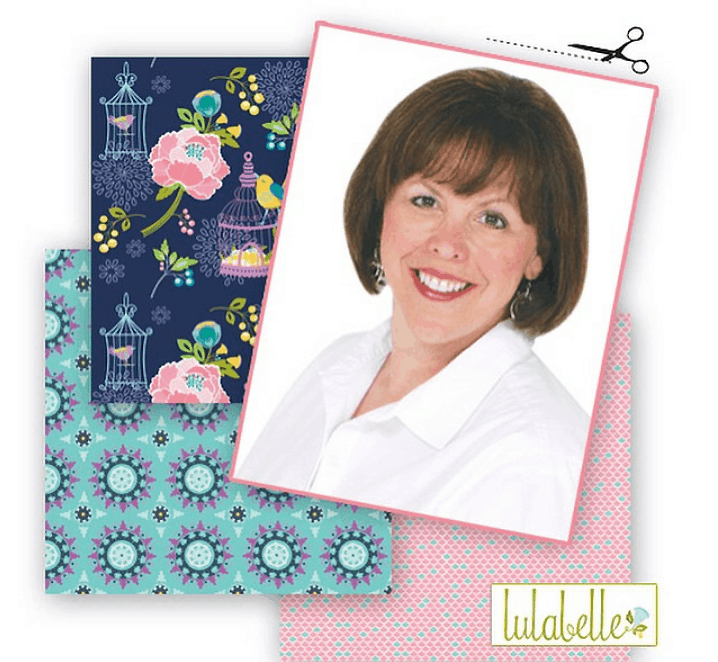 She has traveled all over the world teaching people to quilt and her quilts have been featured in several magazines. Every year Dodi makes Christmas ornaments with her grandchildren. These are sewn bags for each granddaughter to hold their special Christmas treasures in. 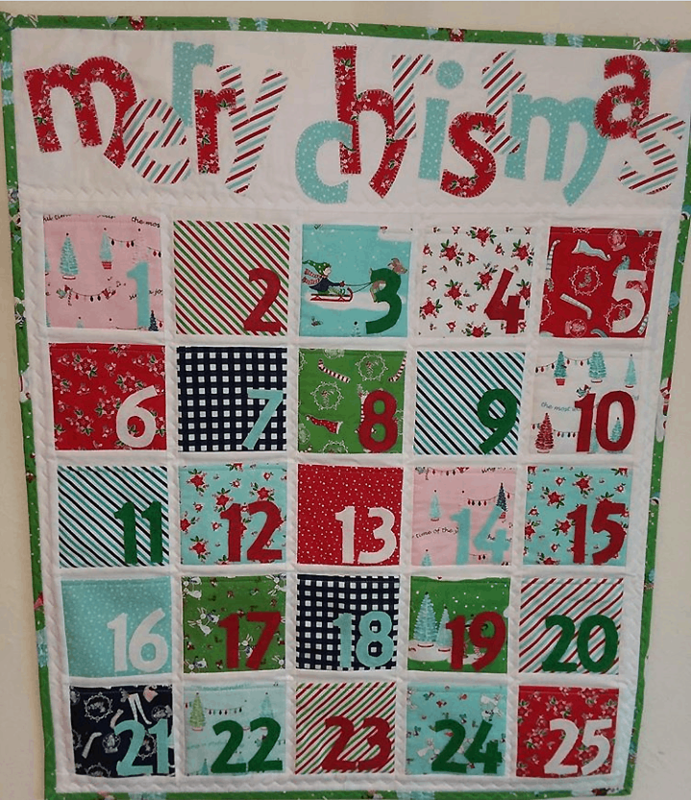 Instead of putting candy in her handmade Advent calendars, Dodi slips in activity ideas or scriptures into each slot. “To keep the kids busy,” she says. One of the most fun activities Dodi organizes is a Christmas family picnic. 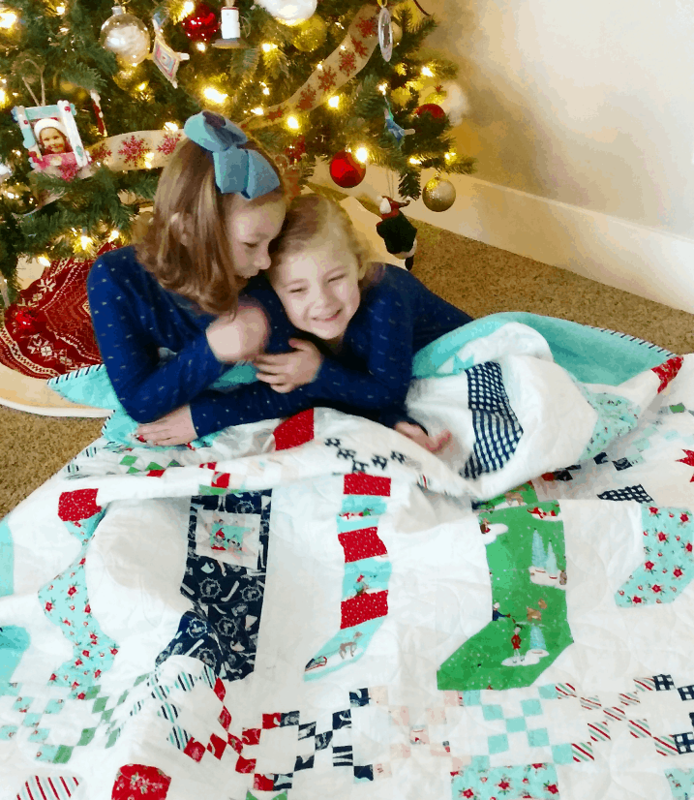 She makes a beautiful quilt to use as a blanket while enjoying the lights and eating a picnic that includes all their favorite holiday finger foods. Dodi says, My grandkids don’t live in Washington, so I travel to see them. With the quilt I’ve made, we create the perfect “winter” picnic as we sit in front of the lights, and talk about all the things we love about Christmas. It’s something I hope my grandchildren will always remember. Like her grandmother who taught her to sew, Dodi is now teaching her granddaughters how to sew…a cherished talent being passed to the next generation. Dodi (Nana): Christmas is a time to make memories, create traditions and to increase family love. I’m blessed to have amazingly perfect grandchildren who I can spoil and enjoy. How lucky I am! Grandparents are important to their grandkids. Based on Goleman’s advice, a warm, loving and involved relationship between a grandparent and grandchild positively shapes the brain development of these precious children and helps mold them into happy giving adults. What a gift it is to be a grandparent! In fact, it’s the best Christmas present ever! 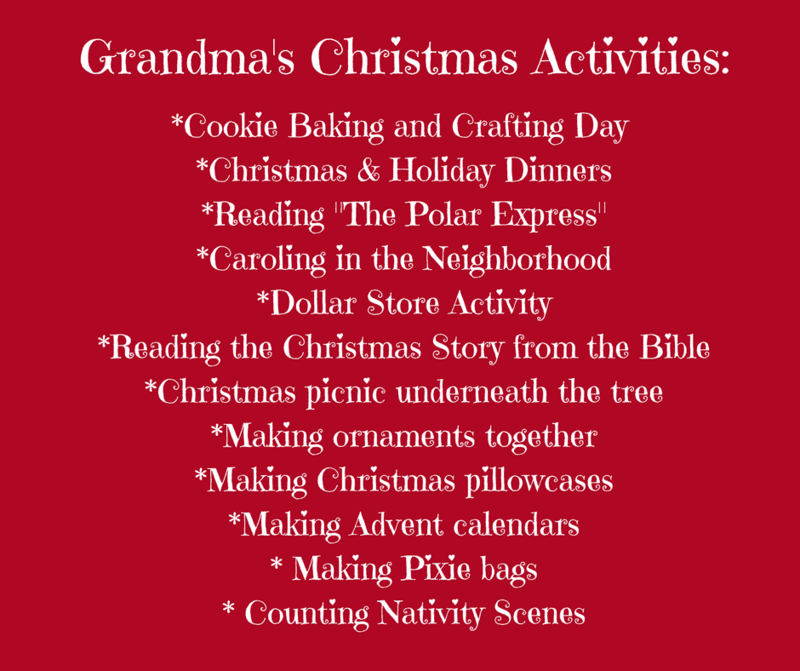 Here’s a recap of the holiday traditions these Grandma’s, Yaya’s and Nana’s do with their grandkids. And there’s still time to try one of these out with your grandkids! P.S. : If you are a grandparent—what special traditions do you celebrate with your grandchildren? Any special foods you make? Events you go to? Please comment below. Great ideas Sharlene. It was fun to see Dodi again! Thanks, Mary! Yes, Dodi’s been busy doing great things!